Finding great plumbers can be difficult. For someone who is experiencing a plumbing emergency, the difficulty increases tenfold. The worst time to be stuck with an incompetent plumbing professional is when necessary functions served by plumbing are unable to be used, or when a plumbing problem threatens other aspects of a home or business. Below are some tips for choosing a good, competent plumber. Friends, family and neighbors can give incredibly useful advice when it comes to choosing a plumbing professional. After all, the best advertisement is word of mouth, and a plumbing professional that leaves happy customers is likely to have a high quality of work at a reasonable cost. Personal experiences of those nearby who have had plumbing problems should be surveyed; if a name keeps popping up, chances are that person or company is the way to go. A plumber’s license number can be used to investigate a plumber’s background and ensure that the plumbing professional in question is legitimate. Also be sure to check whether or not the plumbing professional is familiar with the cities building code, and that they are covered by at least $500,000 in liability insurance. A good professional is always prepared in case something goes wrong on the job! Service agreements allow a plumbing professional to return to a home or business and check up on the work they have done and inspect for additional problems. If the repair needs to be re-done, continued, or if another repair is required, a good plumbing professional will include the cost of this additional repair in the service agreement. Good plumbers will be on call 24/7 should problems arise with the repairs they have performed, though there are scheduling issues to watch out for even before a job is performed. A competent plumbing professional will offer hourly appointments; they will not simply give a day when the job will be done. As is true with everything, you usually get what you pay for. However, that does not mean that a plumbing professional need be extremely overpriced in order to be competent. After investigating several plumbers in the area and evaluating them for competency, begin to shop around for the most cost-effective option. A plumbing professional that charges reasonable rates, has a good rapport, and is well-prepared is the one to choose. Avoid the lowest bidder or handymen who do small plumbing jobs; stick to professionals. Finding plumbers that are competent, well priced, and available in your area does not need to be difficult. Just follow the simple steps above and you will be sure to find a plumbing professional that suits your needs! Great Article! Well a licensed plumber will do a thorough inspection of your plumbing and accurately identify the root cause of the problem, which an inexperienced homeowner may have missed. They can also give you professionally prepared materials lists and cost estimates, so you would know exactly how much you have to spend, and on what. They can also do proper installation and repairs, which would prevent problems in the future. 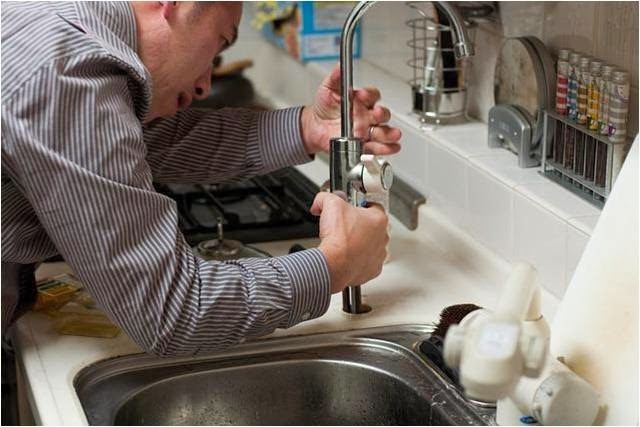 In the long run, hiring licensed plumbing contractors will help you save your money and your time. Termites are Eating the Walls! Now What? Diesel Generators: are They for You?